We start with a description, then let a chain of players take turns to draw and describe - but each player can only see the previous step in the game. It won't take long for the original message to get lost in translation and turn into something completely different (and hilarious!). 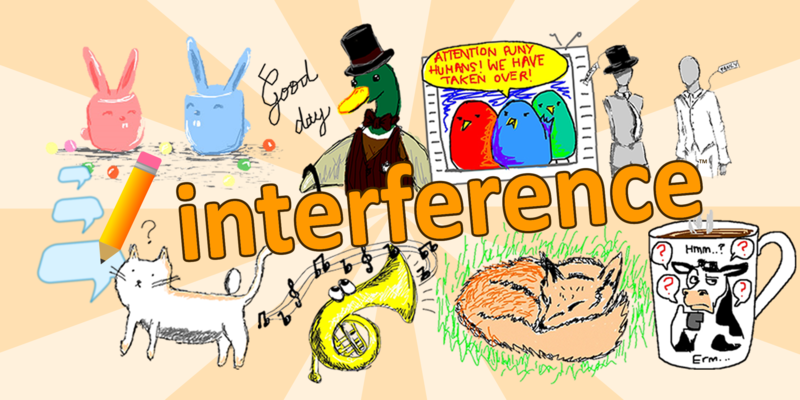 Originally developed as a distraction from cancer treatment, Interference has become a hit social game on the web, Windows and Android. There are currently no trailers available for Interference. Check back later for more or contact us for specific requests! "If you're the creative type, you'll love this game. You don't have to be a talented artist -- stick figures will often do the trick-- but it's great fun. Participate or just browse the most popular "games" created by the community. Often laugh-out-loud funny." "By far the most fun drawing game yet because the words do not feel recycled. It's all user-created content including the 'phrases' to be drawn. The best part is in seeing how the initial word changes through transmission like a game of telephone. Bravo! " "This game usually makes me bust out laughing. It's LMFAO, not just lolz. Get it! Get it now! " The Interference YouTube channel, featuring weekly development updates and replays of picture/description of the week. youtube.com/playinterference. 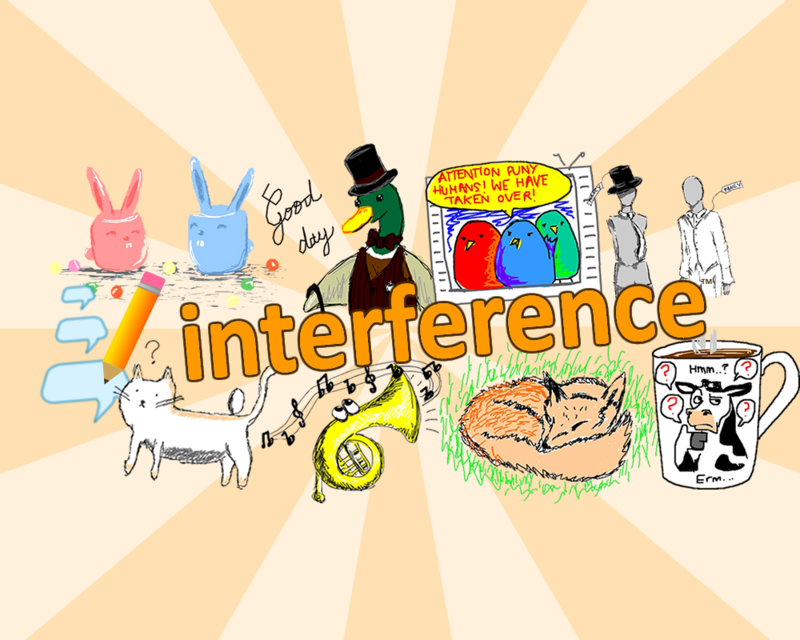 We're an indie microstudio in Newcastle-under-Lyme, and we make games (like Interference - the drawing game) and other fun interactive things (like Zeitgeist - the first live hosted interactive quiz on Mixer). More information on Centrifuge, our logo & relevant media are available here.